I stamped out the image and got busy coloring with my Spectrum Noir markers. I used EB1, EB2, Cr1, CR2, CR3, CR8, BG1, BG3, TB1, TB2, FS4, FS9, GG1, GG2 and TN1. I wanted to use this pretty floral paper from Graphic 45 so I tried to pull colors from this paper onto my stamped image. I also have been embossing everything I can get my hands on with my new Embossalicious embossing folders! ha So of course I had to emboss the mat for the image too with my 6" X 6" Embossalicious Embossing Folder - Lattice. 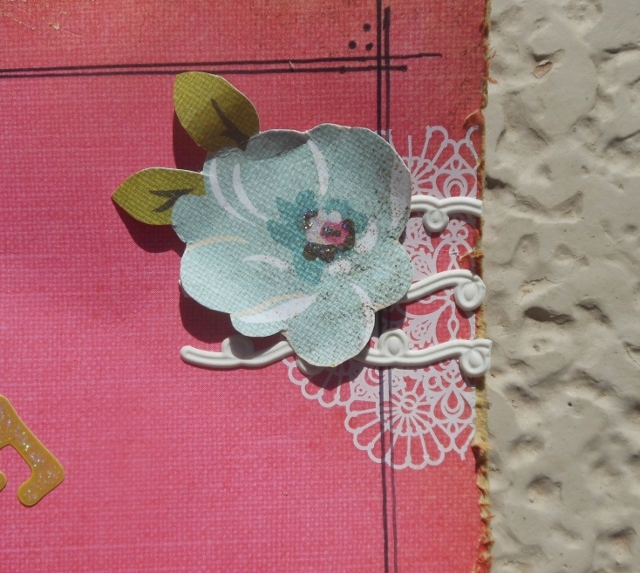 The flowers were originally white but I colored them with my CR2 to color match them with my card. I just think that this is one of the best things that you can do with your Spectrum Noir markers! 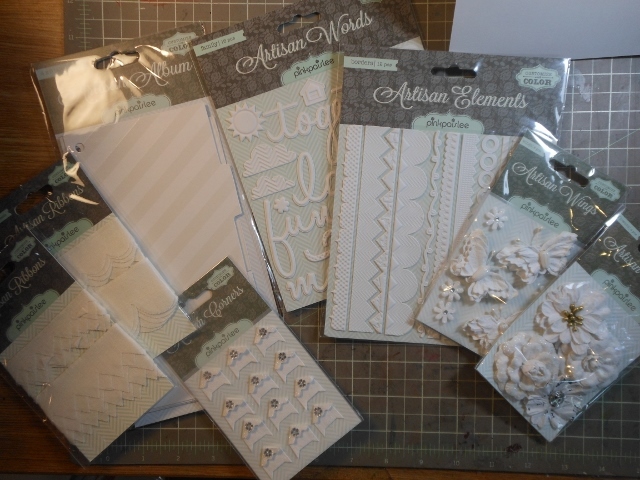 I find myself buying embellishments in cream or white and color matching them to all my projects. I know you can't tell it from this card but this collection if full of images with adorable little mice in a variety of settings. You will want to go check them out at Crafter's Companion. Thanks for stopping by and looking today. Hi everyone! 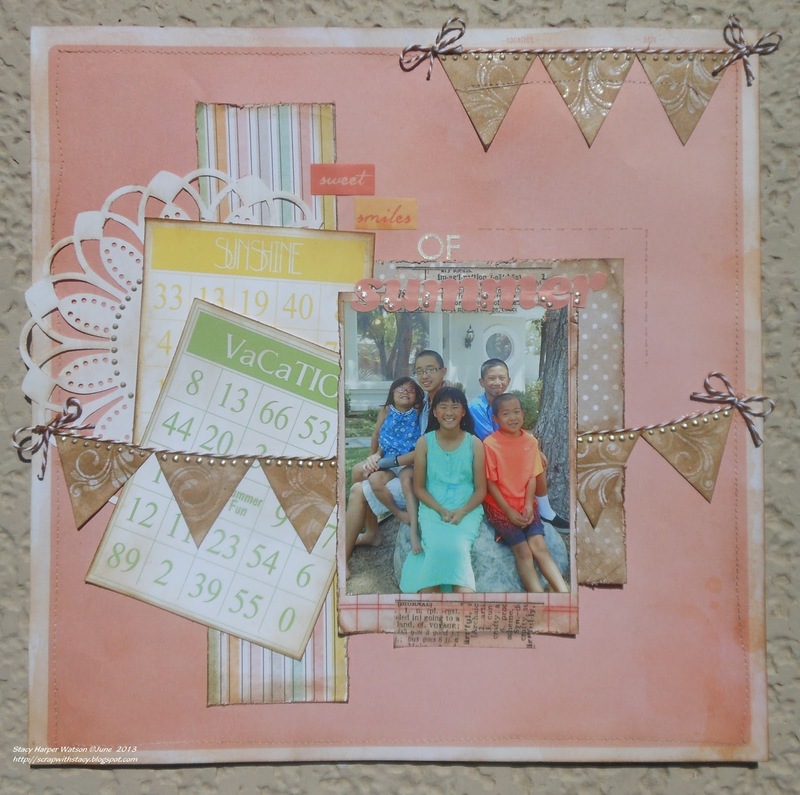 I wanted to share a layout with you that I made for the Crafter's Companion Summer Challenge that is going on all this month at Crafter's Companion. This photo was taken just after the last day of school and the kids were pumped to be starting on their summer break. You can tell by their "Sweet Smiles of Summer"! 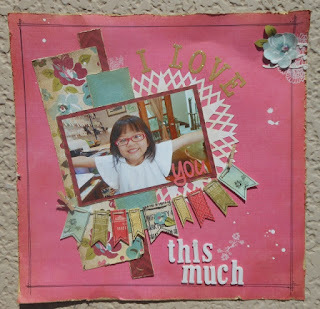 I used an awesome sketch from the challenge at GrandDiva's Creative Corner. 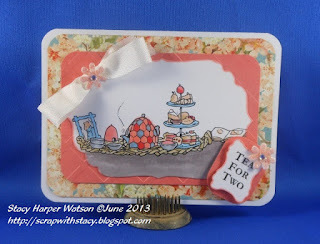 I also made sure that I had the ingredients on my layout for the recipe challenge at Scrappin'n'Happy, washi tape, twine and 3 patterned papers. And since I used this resist technique I was able to enter it also at Kristi B.:Scrappy Friends technique challenge. I had the doily left over from another project and thought it would be perfect to stuff under my paper bits. It was made with my Martha Stewart circle punch that I LOVE. It is actually only part of a doily but you can't tell that a third of it is missing since that part is under the other papers. 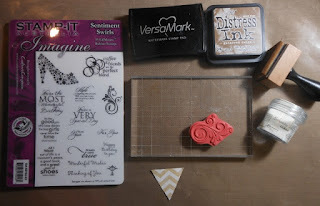 I wanted to do a Emboss Resist Technique that I have been seeing on projects everywhere lately so I pulled out my Stamp-It Australia EZMount Stamp Set 61 - Sentiment Swirls stamp set, my Ranger Distress ink in Gathered Twigs, VersaMark Ink, some clear embossing powder and got to work. 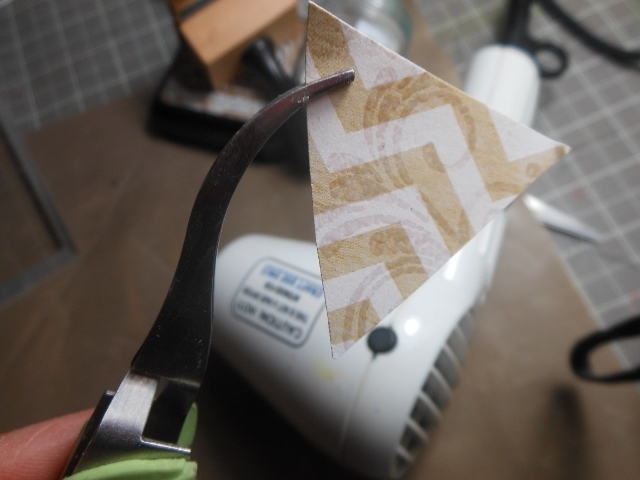 First I trimmed out some of my paper into triangles. I grabbed the swirl stamp and using my VersaMark ink, stamped the swirl randomly on my triangles. Next I poured some clear embossing powder over the stamped image and tapped off the excess. Finally I heat it with my heat tool. Here I am heating the embossing powder. Here is what it looked like after the embossing powder had melted. Now to get the "resist" part of the technique. 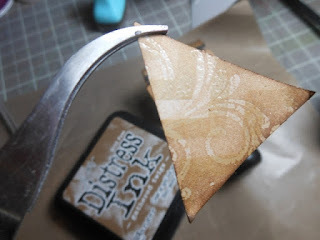 I grabbed my distress ink and my inking tool and rubbed ink on the embossed triangles. I always start inking off the paper on my craft mat and work in circles onto my project. You can see in the photo how the embossed bits resist the ink. Here is what it looks like after the Distress Ink was added. 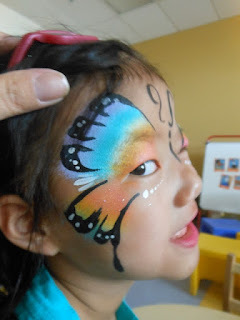 This is such an easy and fun technique to try. 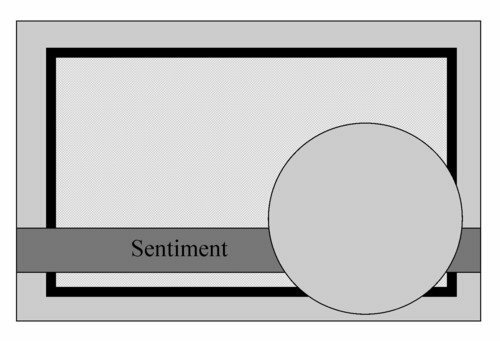 And it really makes a big difference in the look of your project. If you haven't already tried it I hope that I have inspired you to give it a go. 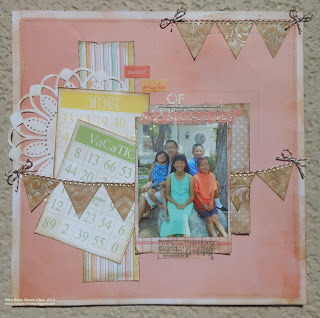 Be sure and check out the June Summer Challenge at Crafter's Companion. You still have time to enter. 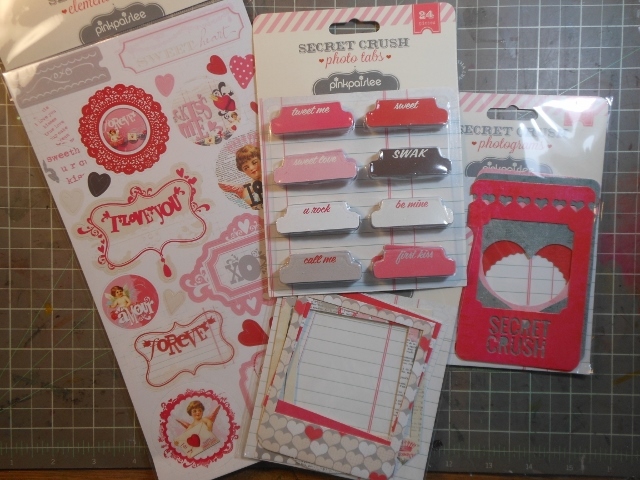 You could win the awesome prize this month so go get busy scrapping!! Until next time...happy scrapping! See? I colored the little bird blue thinking I would pull out some of my Christmas papers in blue to use but then I got lazy and didn't want to go look for my holiday papers! (smile) So I thought I would just use some of the papers that were sitting by my desk and this is what I came up with to share. I think my card turned out kind of cute. What do you think? 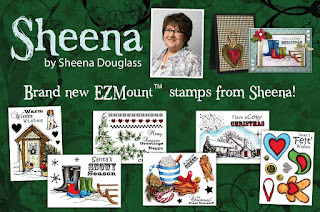 If you like it you should go check out all the other gorgeous new Sheena stamps in this collection at Crafter's Companion. Thanks for visiting! Until next time...happy scrapping! 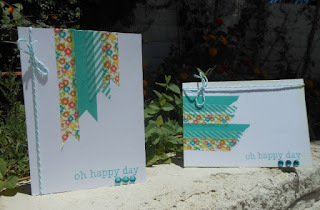 Today the Crafter's Companion Design Team is excited to play along with Paper Craft Planet for their weekly sketch challenge and we would love to have you play along too. Here's the fun sketch and you can find more info on the PCP Blog too! 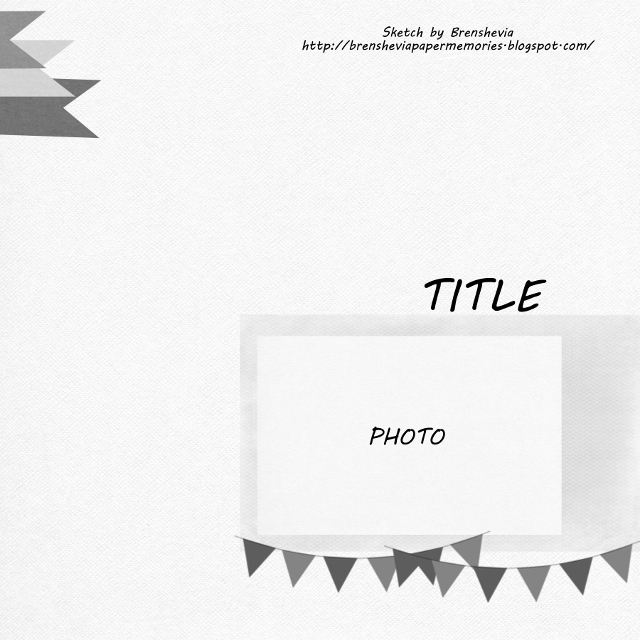 If you would like to play along, upload your card to the PCP Gallery and tag it with SK061413. YES ~ there is a prize!!! For each comment left on the blogs listed below, you will be entered into a drawing for a $20 gift certificate. ALSO, if you play along on our sketch challenge, you will be entered into the drawing again (just make sure you upload your card to the PCP Gallery with the tag listed above). Deadline to enter your comments and/or sketch challenge cards is June 21, 2013 at midnight (ET). 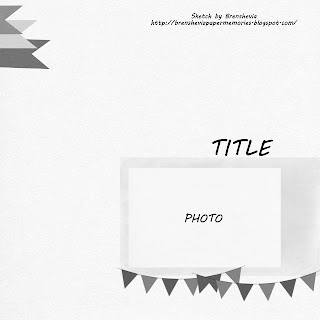 Entries can be uploaded to the PCP Gallery. I was pretty happy to make something to share with you. I immediately knew that I would be using one of my new Embossalicious embossing folders because this sketch just screamed emboss something to me! lol I used the 6" X 6" Embossalicious Embossing Folder - Floral Frenzy and topped it with a sentiment from Sheena's A Little Bit Sketchy EZMount Stamp Set - Only Words - From The Heart. I'm so happy with how it turned out. I hope it inspires you to join this challenge too. Now here's who is playing along today ~ be sure and leave some comments for your chance to win the Crafter's Companion Gift Certificate! 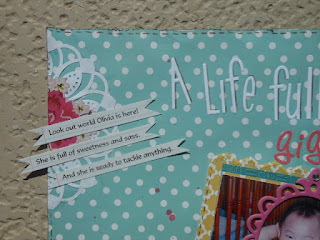 Stacy Harper-Watson -- http://scrapwithstacy.blogspot.com/ You are here. A Life Full of Giggles. Okay ladies, it is that time again that I ask you to look at my layout and if you like it to go vote for me in the Colorful Creations - So You Think You Can Scrap challenge today. We are down to the last 4 ladies. Two will be eliminated after voting ends on Thursday. And then it will be the FINAL week! 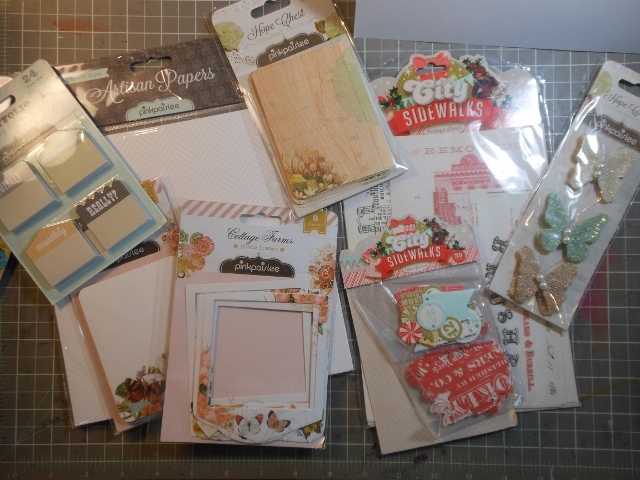 I started with some new papers I purchased last week at my LSS from MME - Find Your Wings and Fly collection. I pulled out one of my new 6" X 6" Embossalicious Embossing Folder - Gun Metal and embossed the paper to mat my photo. I love the extra texture it gives to my layout. 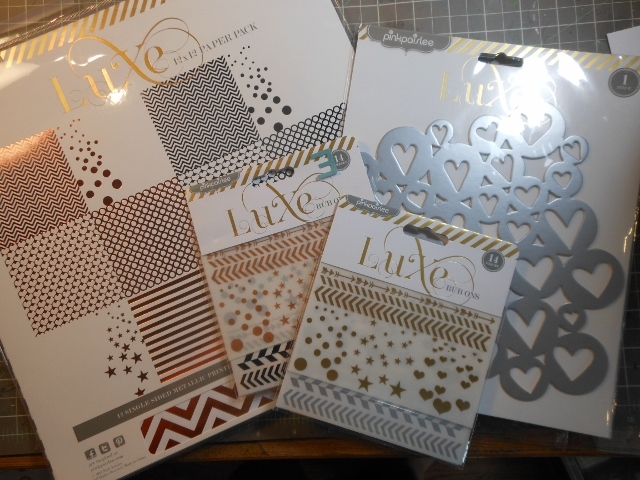 These embossing folders are great. They are made of a nice thick plastic and are hinged by two 1 inch pieces of plastic. 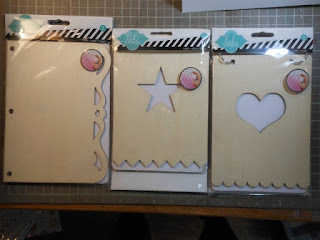 This leaves a nice 4 inch opening where you can run longer pieces of paper through and emboss your own borders or tags. Another thing I really like is that you can rotate them and have the design going whichever way you like on your paper. They easily work in most embossing machines. 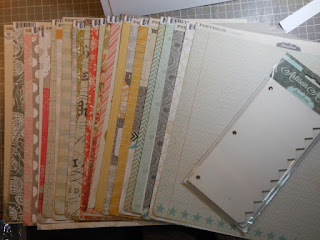 I've used them in a Cuttlebug, a Big Shot and in my eBosser with fabulous results. They all produce deep clean impressions without any tearing. 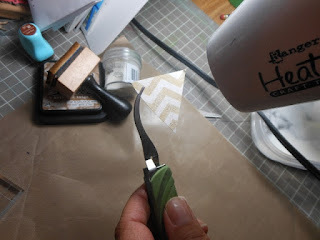 (If you run into a tear issue with thicker or coarse card stock you can lightly mist your paper with water and then emboss it. Your design should now turn out perfectly. 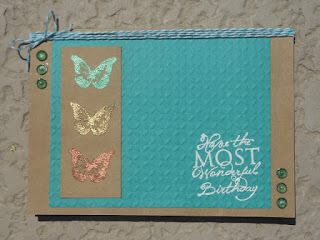 Splitcoaststampers has done a product focus on the Embossalicious Embossing Folders. 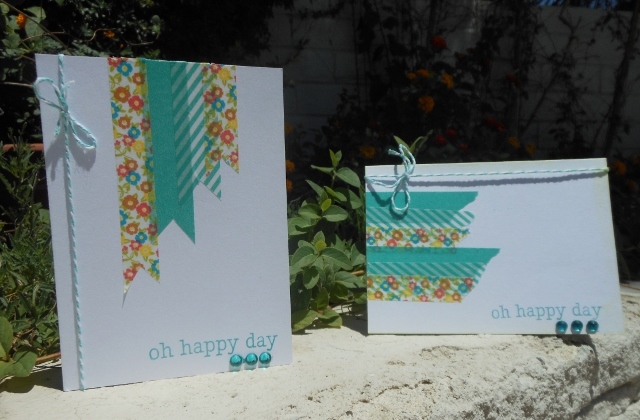 You should go check it out and see what they have to say about these awesome folders! 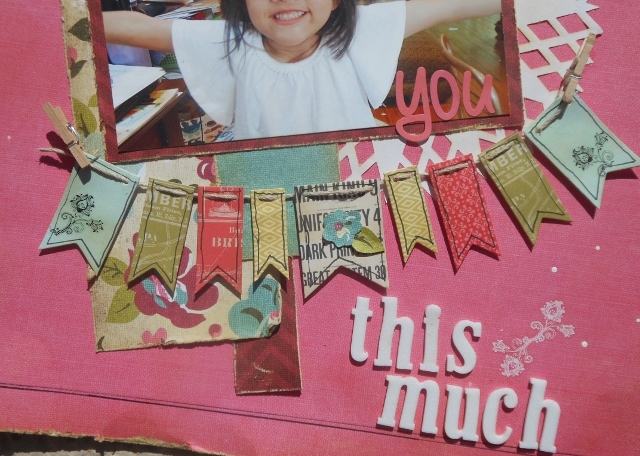 I would love to make it to the final week of the So You Think You Can Scrap challenge so if you have the chance (and if you like my layout). Please vote. Spectrum Noir is looking for several new, talented design team members from all around the world! If you love to color and/or work with alcohol ink, we want to see your art! 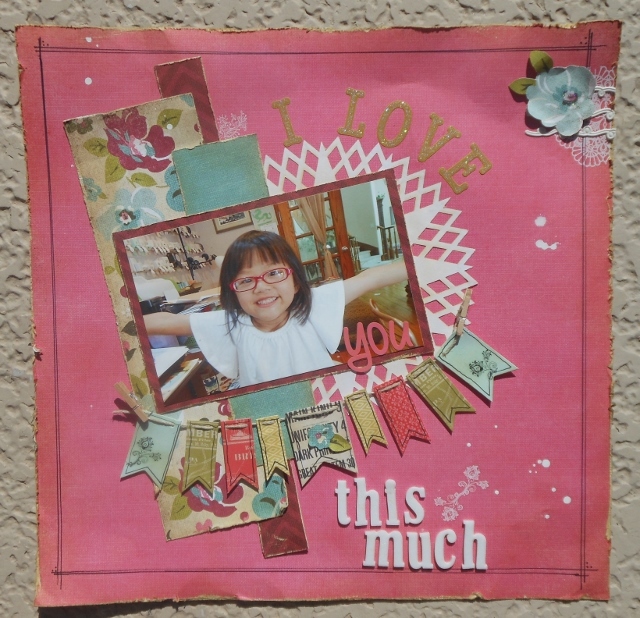 In addition to card makers, we are looking for mixed media and other alternative artists for our team. This design team call is open internationally; we are particularly looking for designers from the US, Central and South America, Canada, Australia, and Western, Central, and Eastern Europe. Don’t worry if you do not live in one of these regions but feel you would be a good fit for our team - submit your application for consideration! 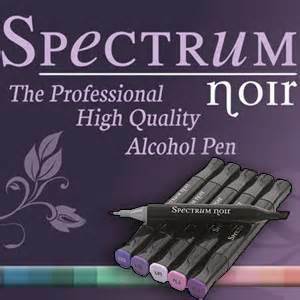 As part of the Spectrum Noir design team, you will be provided with a generous welcome package, and will continue to receive the essentials you need to craft with, free of charge. You will be part of an elite group of alcohol ink colourists and educators; your work will be shared internationally on our web site and other online platforms. · Create at least one educational post for the Spectrum Noir web site each month. These tutorials must be high quality videos or contain step-by-step pictures and instructions. · Participate in our monthly challenge. · Be active on our Facebook page and willing to share your knowledge of alcohol inks and pens with others of all skill levels. · Be an ambassador for the Spectrum Noir brand. 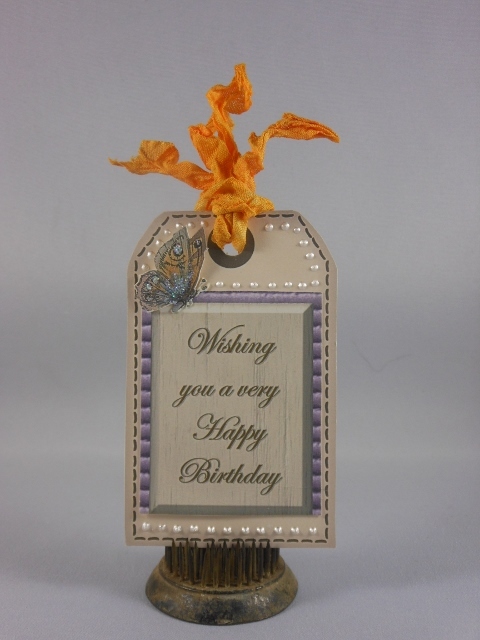 · Create samples for use at craft and/or trade shows as needed. · Make sure what you are sharing with us represents your best work and really showcases what you love to do! We want our team members to take high quality photographs that show a good representation of alcohol ink. We will also be looking at your writing style and how you share information about the products you use. · All work submitted must be original and created by you. 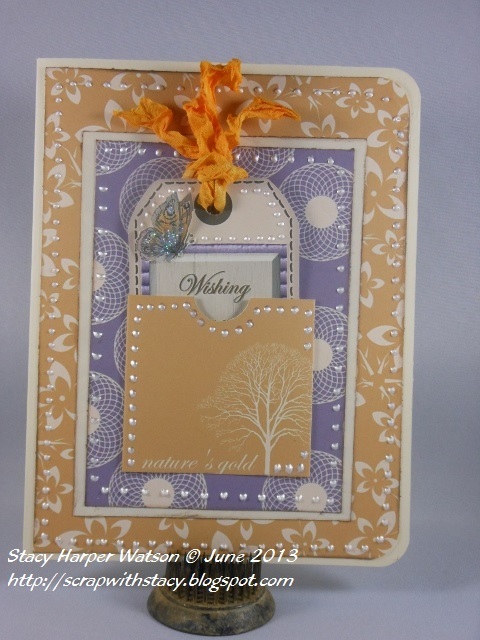 · Preferred crafting style – are you primarily a card maker? 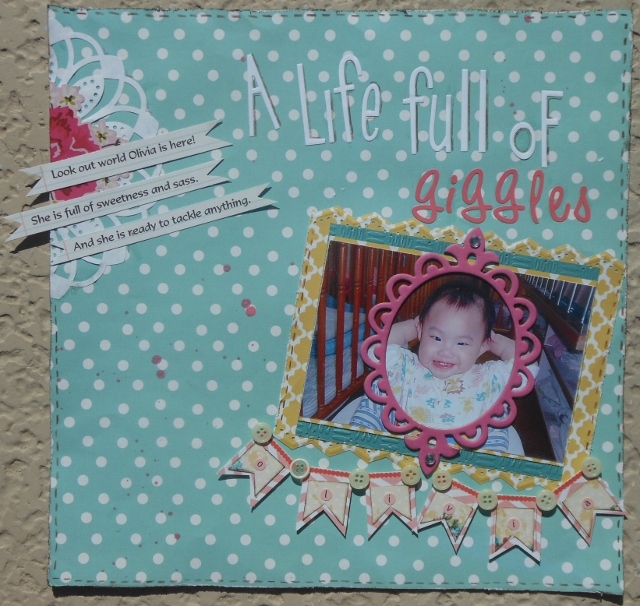 Scrapbooker? Mixed Media artist? Manga artist? Something else entirely? 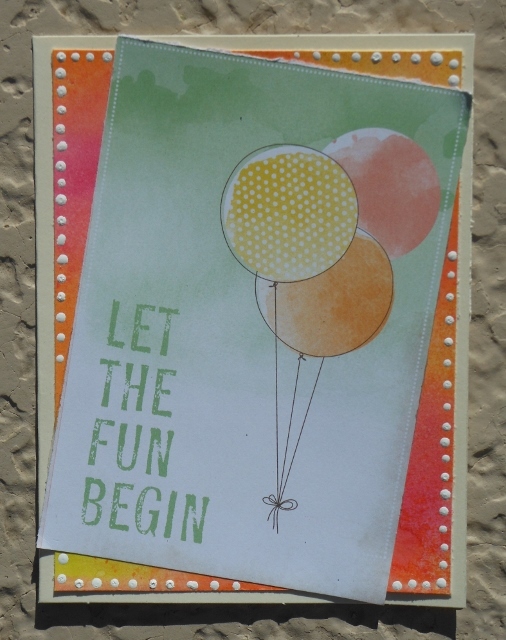 · If you currently teach classes with alcohol inks, any relevant information about them. If you have any questions prior to submitting your application, don’t hesitate to send us an email! We look forward to seeing your work! All the other ladies that were still in the running really brought their "A" game this week and I just wasn't sure if this layout was going to be "enough" to carry me to the next round. But happily it was!! 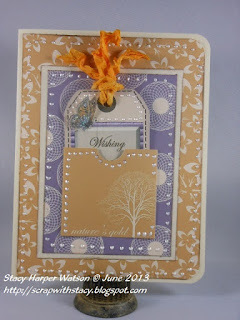 Most of this layout was made with papers from Webster's Pages - Plum Seed collection. Yummy stuff!! 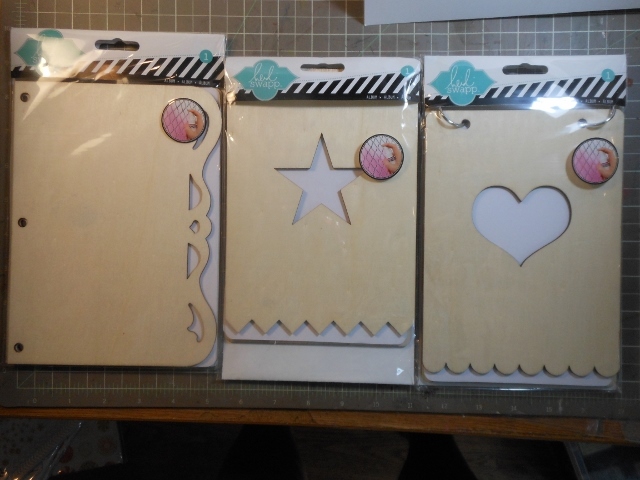 The banner are actually a pre-cut embellies from a xmas themed set and I can't remember who it is from but they just went perfectly with my layout so I threaded them with them twine from my stash. I added some of those super cute mini clothes pins. I used a doilie that I punched out with my Martha Stewart Circle Punch. I just got that box of goodies from Pink Paislee and used some rubons and a cut up border . I cute some of the flowers from my papers to make a few embellies. I also splashed on some Dylusions White Linen. I finished by doodling around the page and on the banner pieces. 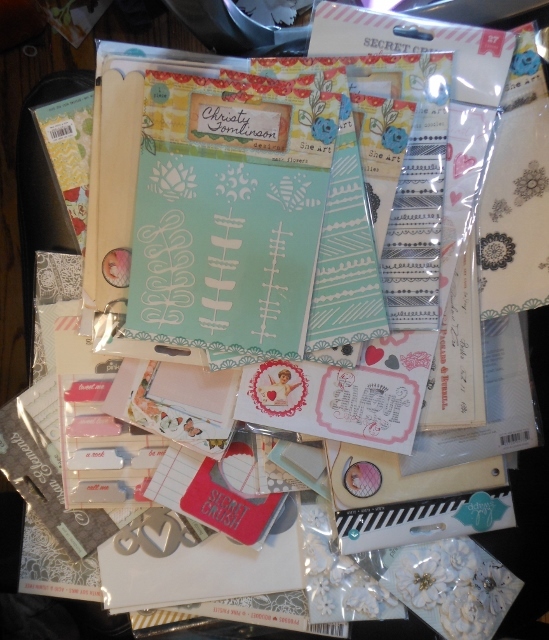 I went to my LSS today and got a few things and I got a couple of goodie boxes in the mail this week too. I love happy mail! I thought I would share photos with you. Not the best photo (sorry) I bought a ton of papers - some of them are papers from MME - Kate & Co Cambridge Court, MME Find your wings and fly -Sky's the limit,Carta Bella - Well Traveled, MME Collectable. I purchased a few embellies that coordinate and some liquid pearls too. 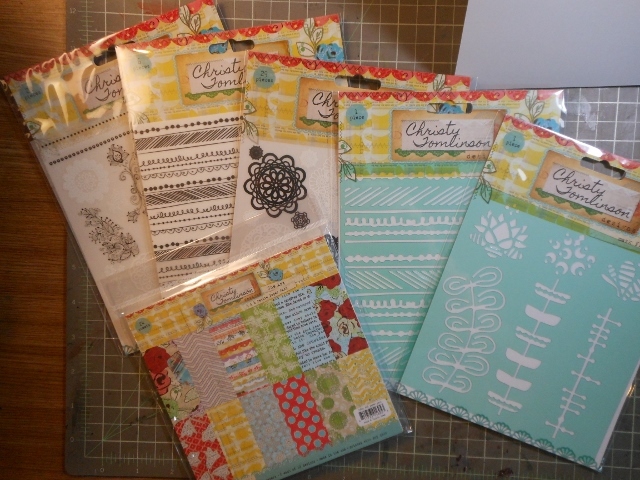 Here are a few chipboard sheets and a sticker sheet to go with some of the papers I purchased. My friend, Carri, makes and sells these "Skittles". I love them! Look! I bought a whole bunch of them! LOL If you want to buy some for yourself you can go check them out HERE. Here is a box of goodies from Crafter's Companion. I'm on their DT and get a gift certificate to spend in their store each month. This is what I got for May. 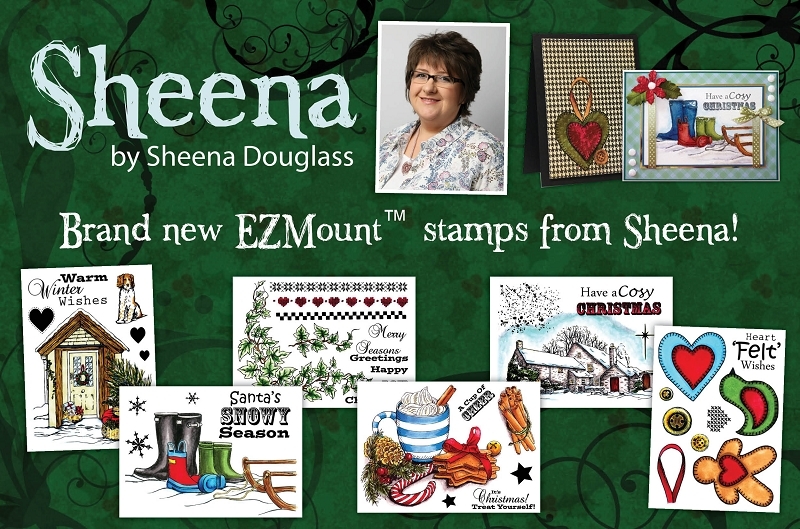 The newest Sheena stamps, some construction acetate, one of the newest embossing folders, two new colors of distress ink and a blender refill for my Spectrum Noir marker. SO there you have it my newest haul. 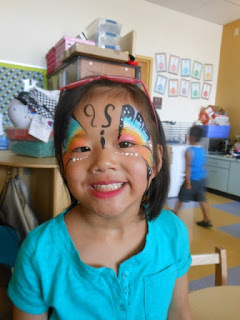 My youngest had her last day of school today and next year will start kindergarten! Woo hoo! The party was in her class this morning with ice cream and face painting. 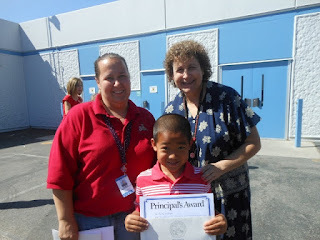 My 5th grader is having her promotion from 5th grade to middle school tonight. She is my sporty girl and it was kind of crazy to go dress shopping with her. And then to have her come home and put on her dress with her shoes and jewelry. She seemed so grown up and girlie! I will take photos tonight before we leave to share. I'm super proud of her. Tomorrow is the last day for the rest of the kids and then summer will officially start around here! Woo hoo! ha I can't wait! Maybe I will have more time for scrapping! (haha - yeah right!) But I did have time to make a little something to share here with you today. Crafter's Companion has come out with a new CD-Rom loaded with gorgeous stuff that I was fortunate to get to play with yesterday. 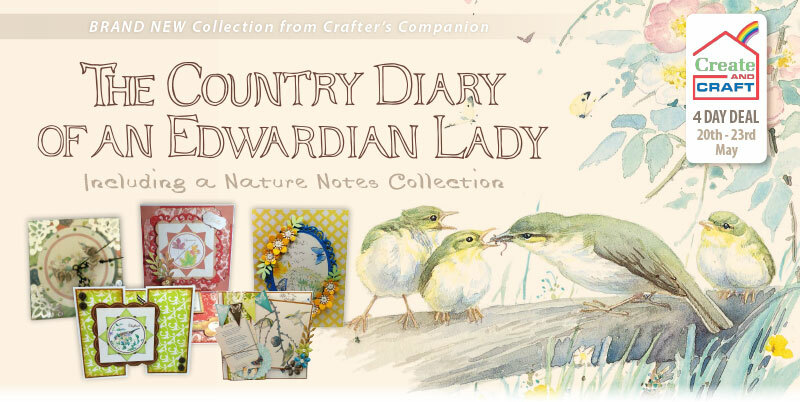 It is The Country Diary of an Edwardian Lady. It is a beautiful twin CD-ROM containing illustrations from the diary of Edith Holden, dating back over 100 years. 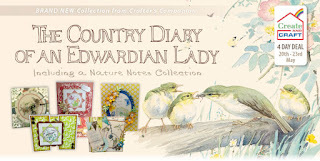 The Country Diary of an Edwardian Lady records the changing seasons in the countryside during 1906 through exquisite painting, poems, thoughts and observations. With the tag sticking up a bit so you can see it. With the tag tucked back down in the pocket. Here is the card I made with this CD-Rom. Everything is from the CD-Rom except for the ribbon and the Liquid Pearls! There is so much you can do with these CD's. You are only limited by your time and imagination. 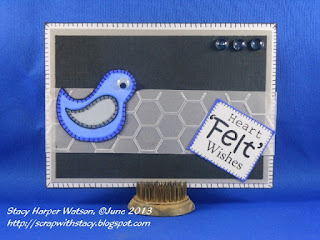 So go check it out at Crafter's Companion. Hello there! Thanks for stopping and looking. Want to see what I made? 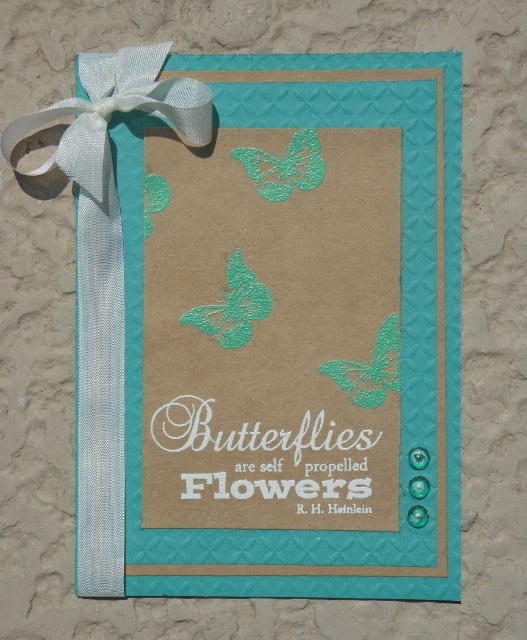 I wanted to make a card using this sweet little butterfly stamp from Sheena's A Little Bit Scenic - Flying Colors stamp set that was sitting on my desk. I pulled out this pre-embossed sheet of paper because I thought I might want to use it on the layout I just made but I didn't end up using it. So it was just sitting on my desk too. I grabbed some Kraft paper and made a base card. 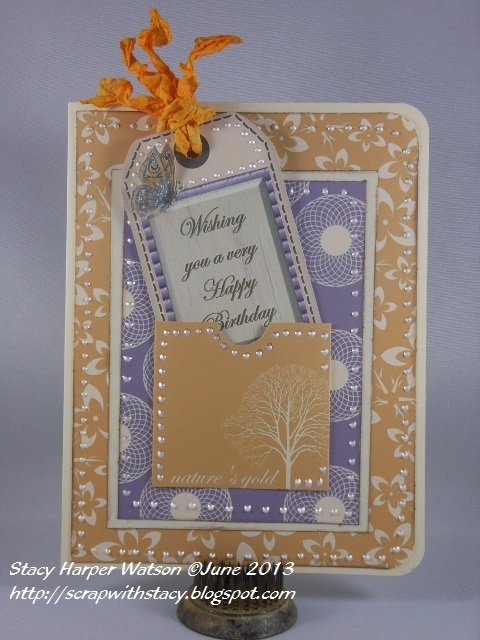 I layered it with this pre-embossed paper. 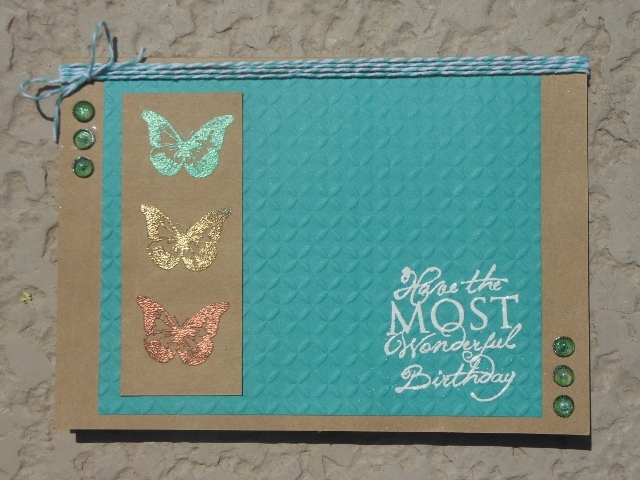 I had an idea of what I wanted to do but I wasn't sure what color of embossing powder I wanted to use so I stamped out the butterfly using VersaMark ink multiple times and then sprinkled on some of the colors I thought I might be interested in using on a test piece of Kraft paper. I heat set them and after doing this, I decided I wanted to use the more green color. 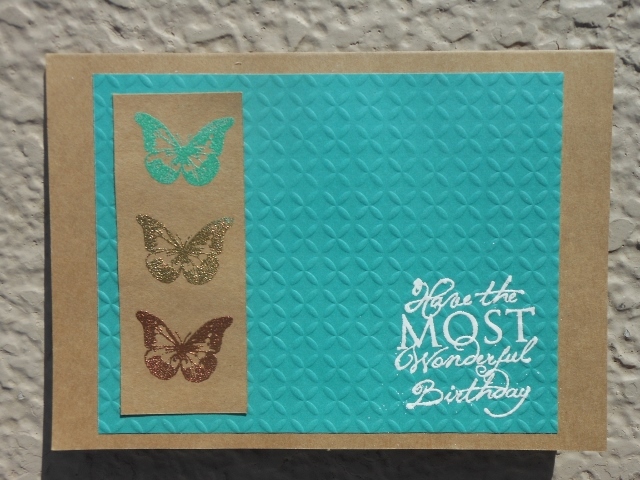 So I trimmed my Kraft paper to the size I wanted and then randomly stamped the butterfly on this piece of paper leaving room at the bottom for the sentiment from this set to be added. 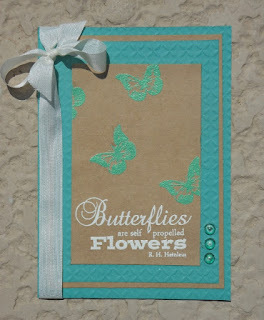 I sprinkled the stamped butterflies with green embossing powder and then heat them with my heat gun. 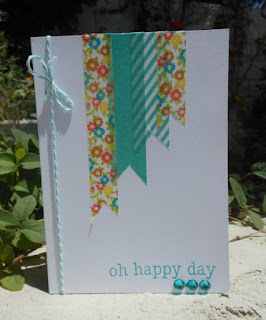 I did the same thing with the sentiment, this time using opaque white embossing powder. 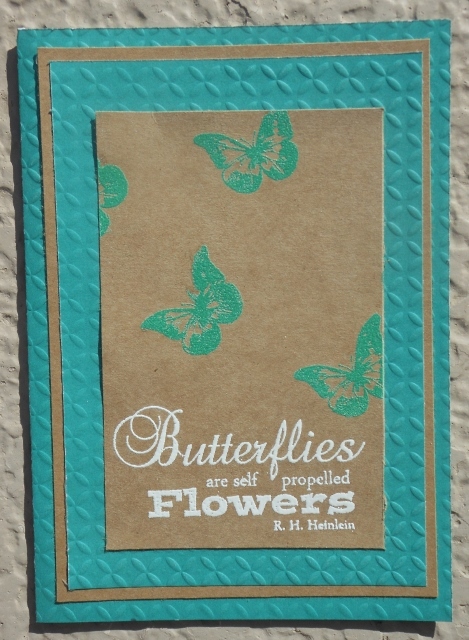 Well now, I had those "test" butterflies sitting on my desk just ready to be added to a card. So I had to make one with them! (smile) I used a Kraft paper base and layered on a bit of that pre-embossed paper, literally just using a scrap off my desk (not even trimming it!). 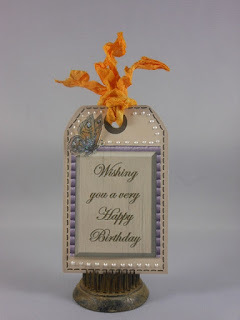 I pulled out my Stamp-It Australia EZMount Stamp Set 61 - Sentiment Swirls set and stamped out this birthday sentiment, again with VersaMark ink, and using opaque white embossing powder I heat embossed it. These two cards went together so fast. I just love it when I use the "leftovers" that are just sitting on my scrap desk waiting to be put away or thrown away! I'm in Heaven!! If you know me at all you know that I'm addicted to mystery boxes/warehouse sales. Well I couldn't pass up the recent one from Pink Paislee and ordered it last week. I'm thrilled because it came yesterday! I thought I would share it with you. Look at all the goodness!! LOL I will show it to you in smaller groups so that you can appreciate all the awesome stuff I got. Some wooden Heidi Swapp albums (there is a 4th one but I missed it for this photo and you will see it in another photo as you scroll down. Here's that other wooden album but I guess it isn't Heidi Swapp it is another Artisan Album. And finally a bunch of gorgeous 2 sided papers. YUM! Can you believe all of this stuff?! AMAZINGLY, I did not have any of it before now. I'm stoked to get started playing with all these lovely things. Did you happen to buy this box? Did you get the same goodies? I'm off to go play. 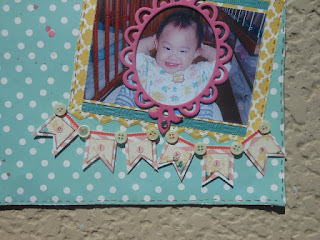 I had pulled out that washi tape because I wanted to use some on a layout that I was working on but wasn't sure which one I wanted to use. the bakers twine was also a left over from this same project. 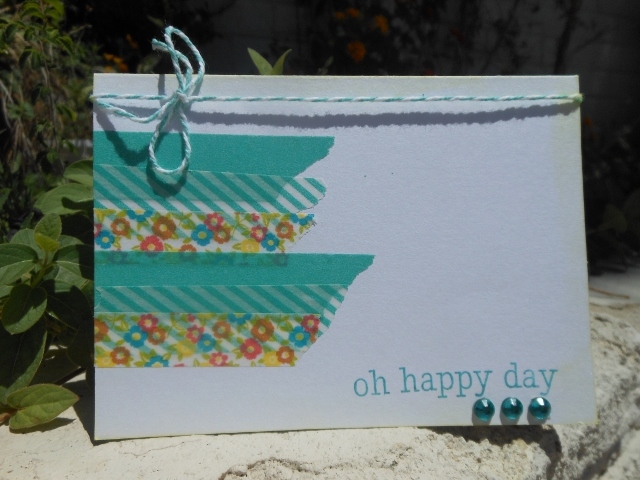 I used the stamp on another card I made recently and it was still sitting on my desk too. And I always have this big sheet of clear bling that I leave on my desk that my friend, Jose sent me from The Netherlands. I love to customize it with my Spectrum Noir markers. And finally the last one I made was from a bit of "art" leftover from when I was playing around my Dylusions ink sprays. I misted the backside (non-shiny side) of a piece of Luxury Centura Pearl cardstock with water. Then I sprayed Pure Sunshine, Bubblegum Pink and Squeezed Orange Dylusions ink on top in a random pattern. The water makes the inks start blending together in the most luscious manner! I played with my inks quite a bit so I had several of these bits of "art" just sitting and waiting to be made into a card or some other project. 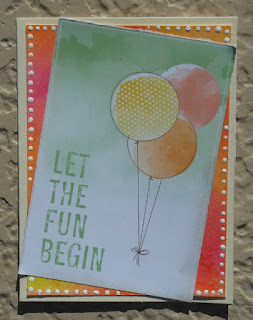 And then this cute little bit of cardstock with balloons found it's way onto my scrap desk. I'm really not sure where it came from but when I saw it I just thought it had the perfect colors to go with this "art" I had made. 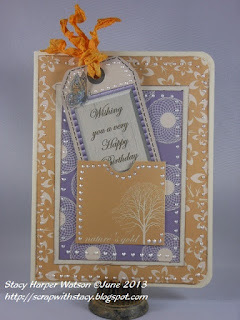 I trimmed and layered the "art" on top of a pre-cut cream cardstock base. I added the topper at an angle for a bit of interest. Then I pulled out my Copic Opaque White and using the end of a paint brush I made little dots around the edge of the card. I really like how it turned out. It is plain but pretty in person. That's all for today. Until next time...happy scrapping!